This updates removes access to all but 3 devices. I’ve used Dropbox for a long time, and I’ve turned so many people on to them I have maxed out my free space for referrals on my personal account. I’ve also purchased Dropbox business and Dropbox pro for companies I run. So this latest update feels like a slap in the face. It’s time to reconsider Google drive, box or pCloud. Almost no value anymore, sadly. I never write reviews. And I guess I rarely use Dropbox anymore but when I installed the app on my new phone to access some documents I was so annoyed with how I was met I felt compelled to write this. Dropbox used to be a leader in digital storage. They were the first place I thought of when it came to digital storage in fact. Of course Google fame along and are their lunch by giving everyone 15 GB for free (in addition to being tied to their email service and app suite). 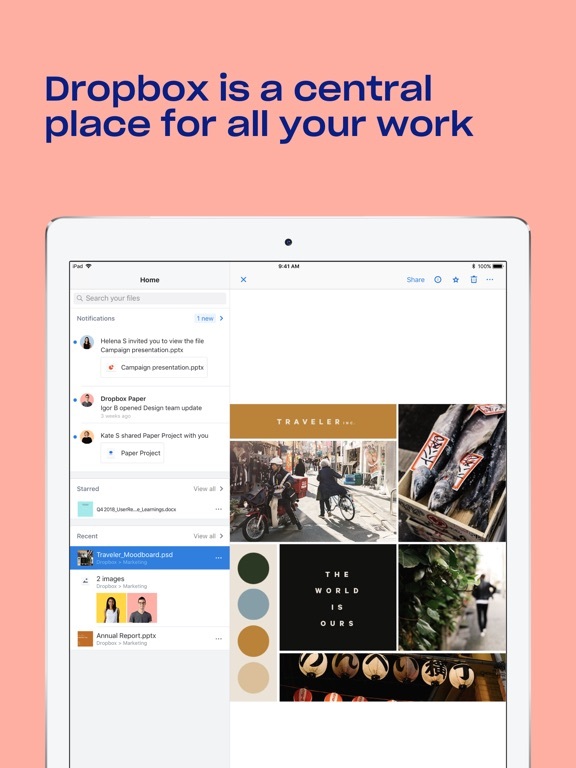 But I have always had a soft spot for Dropbox over the years because I started with them. That soft spot has significantly hardened. The first thing was being greeted by a call to action because my “linked accounts” limit was reached. If this is for security fine. But it’s not simply by virtue of the fact I was asked to subscribe to an upgrade. How much would this monthly upgrade be? Who knows?? Only a free trial offered. I should know what I’m spending after a trial period ends. I decline. Only to be forced to “unlink” several accounts before seeing my files. This is simply ridiculous. Luckily I plan to move all of my files off Dropbox after this but it is absolutely ludicrous to think that I would be unable to access a file at work, on a another computer temporarily or at a friend’s house because I’ve reached my linked accounts limit. If I apply this principle to Gmail or any Google offering I guarantee Google would be out of business by now. It’s a barrier to ease of use and not customer friendly. Then to seal the deal I was asked to upgrade one more time after unlinking my accounts. This felt like salt in the wound. Further—no pricing information was given. Suddenly those warm and fuzzy feelings I used to associate with Dropbox all but dried up. I know it’s tough to run a business and keep increasing profits. The dev team and entire staff work hard to get this tech to work correctly and reliably with constantly expanding features. I am guessing this was the idea of one small group of people in the company. I speak to them when I say please re-evaluate your policies, be more transparent with pricing and stop working against your customer base. I’m sorry to say I won’t be using Dropbox any longer. All I wanted to do.. was open the wedding video file my dad sent me and Dropbox is all “free” to download but heaven forbid I actually want to watch the video because I have to sign up to pay $10 a month. NOPE. Dropbox quietly updated so you can only sync 3 devices only now. For many people that might be suffice and I’m all up for Dropbox trying to monetize some way, but Dropbox should drop their ridiculous price likes of iCloud and/or Google Drive. 10 bucks.. a month. Don’t you see this not working? I gladly pay for iCloud and Google Drive, but this is the wrong direction Dropbox is taking. I can’t believe I’m taking time out to even update this. Feel like I was hoodwinked not being notified about this update. The app is worse than useless. I used it last year quite successfully. This year I started using the camera upload feature. Now it won’t let me access the MANY MANY document files that are stored them. 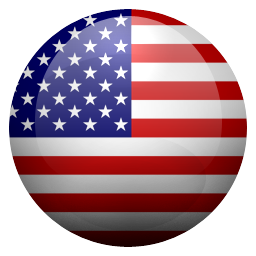 From vital legal documents (for hurricane/disaster protection), to articles, and other documents. I am a writer and journalist, and I travel. I have been using Apple products since 1989, and have migrated to the newer IPad Pro, for travel. 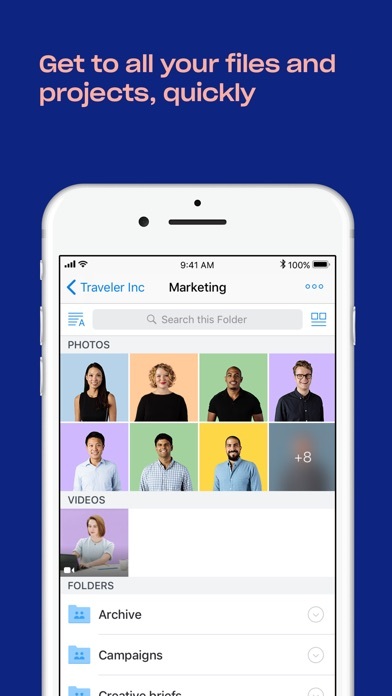 Dropbox has become a monster dead pool of data. I will likely delete everything. Dump the app. Deal with it on desktop. Move to another cloud service, like Amazon. Sickened to have just paid $450 for a business account only to have it wreck my administrative systems, just as I begin another trip and will be away from home. I used to be able to attach pdf docs from Dropbox to an email and ever since I updated the app, that feature stopped working. What happened? Not paying? Expect issues at one point. Cannot use this garbage anymore. It asked me to unlink 38 devices but I only have 4 devices linked. Try other free cloud services ..... Dropbox is dying. Best investment in myself ever. Dropbox bummer: it deletes files from my device. Overnight: Only allowed three connected devices?! Taking away more and more free options. Overall this is a useful app. There are features I like about Dropbox which is why I have stuck with it. File requests, clean interface, simplicity. My annoyance with the app is that you can’t group folders together at the top of the file list. Also, there is a section header for each file name prefix which feels unnecessary and cumbersome. All of these people leaving these negative reviews, about blah blah blah. I’ve been using it for 10 years, not once have I had an issue. Recommend it to everyone! I tried Dropbox Professional to get SmartSync and it broke Dropbox on my Mac! Dropbox has been unable to get it working for more than four days now. And, that's with the "advance team" working on it. I liked Dropbox, but upgrading to Dropbox Professional was a really, really bad decision on my part. These people are absolutely customer no service they won’t solve your problems they won’t help you they won’t want to talk to you do not bother to sign up with them. Says it’s got a cancel on my app. All it does is go to a web page that gives me bogus information for my iPhone 5s to unsubscribe from free trial. So in other words . It doesn’t allow you to cancel this crap. Won’t matter as I will Cancle it from my account at Wells Fargo . Can’t imagine digital life without it. Works great, just stop posting non descriptive explanations for updates. Did it before, then didn’t, now back at it. I have an iPhone 4s. Cannot install Dropbox on it anymore. Requires iOS 10, which is not available on this platform. Awful. No longer available for a 5th gen iPod Touch? One of my favorite things is how it does not duplicate temporary Microsoft Office files like other file sharing services. When you open an Office file, the program create a temporary file which is then sent across your dropbox folders. When you close the Office app, this temporary file is deleted and, it’ll disappear from your Dropbox account - as it should! On other services, you’ll end up collecting temp files forever. Had an issue with files not loading. (March 13th review) Subsequent updates remedied this and DB is working as I need it to. Thanks so much. I can’t open .zip files anymore inside the iOS Files app anymore. When I go to press it, I get redirected to the Dropbox app to upload it. I don’t need to upload it. I just need to preview it in the Files app that’s all! Not sure if this is a iOS 12.2 or new Dropbox update. Help please! It works like it’s supposed to when I delete the Dropbox app. 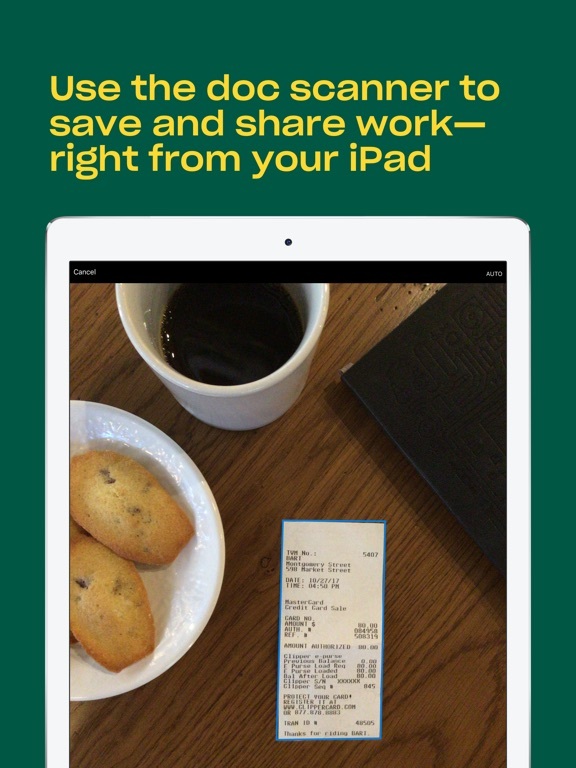 I need this app, I use it for work and need both to work. Otherwise everything else works perfect in Dropbox! Large files are very hard to download via this app. You can’t exit out of the app in the middle of a long download because the download will cancel. This even happens with the “make available offline” feature. It’s a pretty good app, I prefer it over google photos. The only thing is that when I upload more than 10 photos at a time, they just won’t download. This is a major problem because I’m switching devices and want to save all of my photos, I want to upload all the photos I want to keep at the same time and have them down load instead of just sitting there with a gray bar under them or saying “waiting to download.” Its fine when it’s only downloading one picture at a time, (since that happened before) but I don’t have control over how many pictures download at a time (and it’s usually four) please fix this! Hi, I’ve been a member of Dropbox for years and have recommended others to use it. However, as far as uploading videos to DB, I wish videos could upload much faster on the DB. Especially larger videos when you lots of space is available. Also, why does it take a day(s) to upload in the background. And every time I open the app back up, it’s still trying to upload. As if it pauses in the background until the app opened up again. Hope you guys will do this!! I’ve been using the app and i really need a slideshow option and try to make a dark theme it would be helpful thank you... And its a good app I recommend it 😊. I use it to store my worship sheet music. It’s easy to organize and find what you need, when you need it. I’ve been using this app for a few years and haven’t had any issues. Now all of a sudden I’m getting billed $10! How can you charge $10 for an app that was initially free to download???? And the. To not inform the customer that they’re being charged?? Scam artists!!!!! 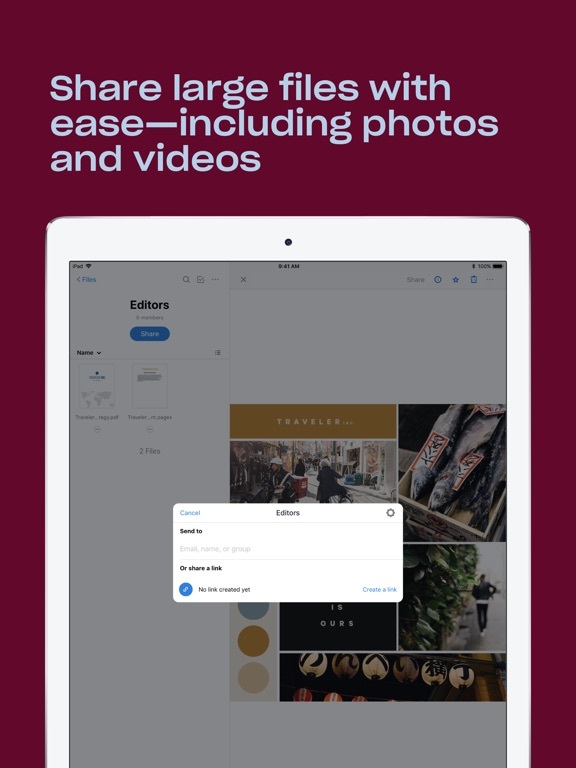 I’m a long time user of DropBox, and have always been very pleased with it, however, I recently tried to save a file locally on my iPad for use when I was away from WiFi and discovered that that feature has now been removed from the standard Dropbox account. I’ll be moving all my files off Dropbox to OneDrive - I get 1 TB of storage there plus Office for my laptop and devices for less than I’d have to pay for just 1 TB on Dropbox - doesn’t make sense. Dropbox responded to this without acknowledging that they did away with the Offline feature in the free Dropbox basic. Bad move, Dropbox. This used to be a great app, but now I'm unable to upload any files to it using my iPhone running iOS 12.1.4. Anytime i try to upload files, it simply says “uploading” at the top and nothing happens. I’ve tried on multiple WiFi connections and cellular data, but it never works. I’ve tried restarting my phone, plugging it into a power source. This doesn’t work either. I’ve researched the issue on forums, but i can’t find any answers. I’m leaving this review hoping someone can assist me with my problem. Been using and I also originally downloaded for the very first time in August of 2013 ..it has been a PRIORITY APP AND IS A MUST APP THAT IS ONE OF THE FIRST TO INSTALL//DOWNLOAD ANYTIME I GET A NEW PHONE.. ETC.. ETC.. ETC..
Easy to use and really convenient for storing all my files! Storing a small amount of photos and the free version ran out of space very quickly and the only next option is $10/mo, too much to indefinitely store a small number of photos. It no longer will allow most of my devices to connect. Find another provider. They are going to limited the number of devices you can log in at the same time to 3! I’m going to move all my files to google drive and delete this app. IPad Pro 12.9 2nd Gen lastest iOS -Dropbox grayed out now as an iOS file saving option from most other apps -Greyed out as an upload option from most other apps -Not appearing at all as a iOS Files save option -Cannot select multiple files (photos, etc.) anymore - which was an awesome addition to the previous update -Soundcopy-AudioShare - no Dropbox option to save via iOS Files Also a little pricey on the month to month plan for 1TB, and without full text search. There are competitive cheaper alternatives that (literally)do the same, but I have gotten used to and have always liked the DB updates, the simple functionality and solid synching between my windows 10’s and the iPad. This app is confusing and hard to use. A friend sent me a Dropbox link of a song file, and when I clicked on it I got the option to either get the song in the browser or “download the app,” which I had already done. I clocked the latter option, and it just brought me to the App Store. When I clicked open no notice appeared about the download; it just took me to the app. As far as I can tell there’s no way to search through emails or Facebook messenger from the Dropbox app to download the link. I then went back to the link and clicked the other option, “open in browser,” which took me to a playable file but again gave me no options to download the file. I’ve always had problems with Dropbox, and the only time I use it is when someone shares something with me on it. This was one of those times, and though this was my first time using the iPhone app, I came away from it disappointed as usual. I don't know why peope wrote negative reviews about dropbox. I love it, It automatic upload all my photos from my phone. One time I lost my phone but I was able to recover all of my old photos. 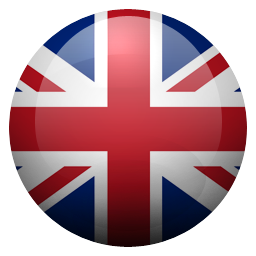 It a must have app in every phone, install it. Its free. When I deleted photos from my iPhone, my other devices didn’t sync. I then found out that my photos can’t be deleted because after I logged out from my Dropbox account and logged back in, my photos are still there. This happened to only my iPhone and iPad. My android device has no such problem. The app has become slow, crashes a lot and gets non responsive a lot update after update and it still is not fixed Should I give up hope? I am forced to open the app continuously while uploading data on my iPhone otherwise the upload stops!!! After the recent update, DropBox stopped working properly for camera-roll upload on my iPad. Their solution? Remove the app, forget the network, fully restart the iPad, re-connect to the network, and re-install the app. Seriously? Good thing I have nothing else to do ... oh, wait. Basement flooded. So yeah, I have something else to do that's rather urgent. Good news is that yes, this did in fact resolve the issue, but really, I have other things to do in my life than reset apps with updates that fail. Especially when paying $75/month for the business version. For $75 a month I expect a MUCH better UI, amazing support, in-file search (not just the file titles), and so much more. Instead, we get the un/re-install merry-go-round, an ok UI, low-availability support (US normal business hours only), and an amazingly klugey sync setup. Heaven help you if your Mac has an external drive. What happens when you get a new Mac? It downloads everything from Dropbox again, even though all I did was remove the USB plug from the old machine to the new. Good job, Dropbox. Well done. Now I gotta wait for 4T of data to re-synch. Their super awesome support response? Well, we told you external drives might not work as expected. I’m totally looking for another service. Seriously, $900 a year for this? I feel like an idiot for locking myself into this “service”. 99% of the time when I used this app, it is to do something with one of the three or four files I have most recently edited. For some reason this app keeps losing track of those, which makes it take much longer to use. Last time it was because they forced dropbox paper towns artificially find a recent list, this time the paper staff is back again and all my recent files have disappeared. There is no option to remove the paper spam from the recent list. For bonus points they say it’s easy to contact them if you have problems about the app. It isn’t. When I finally found a way, their support page doesn’t work; it won’t let me choose a device and therefore won’t let submit a ticket. This is of course on my iPhone, the same device the app is running on, using safari, the default and dominant browser. Ridiculous. Hello, I just wanted to say that Dropbox is actually a really great place to store Office files, sorry if I was harsh earlier. I wouldn’t trust it with all of your files, because I’ve had a lot of issues with the iWork things and all that. The app itself works fine this way. Just wanted to say that. Suggestions: -Maybe we can do a one-time payment for a little extra storage? Like pay $1 for 2 extra gigs. I would definitely pay a few dollars for that. -Support for Apple files. As I’m writing this, there’s no way to edit Pages/Numbers/Keynote files from Dropbox. I use Pages a lot and so do a lot of other people, so you need to add support for those. -Once, I opened the Dropbox app and found that it wouldn’t let me create any Office files. (Like when I clicked “new file,” the option for creating Office files wasn’t there.) I signed out of Dropbox and tried to sign back in, but it said “there was an error” when I tried to sign in even though I got the sign-in info correct! This wasn’t a huge deal since I was able to log back in a half hour later with the create files feature back, but you might want to make sure it doesn’t happen again. -PowerPoint files take FOREVER to load up! (At least for me they do.) Please make it quicker. Thank you for reading!!! Why do you guys constantly insist on changing the whole interface of the app? Seriously. Every update things are different, and not in a good way. Also, I can’t scroll down on my synced folders anymore. It makes my files disappear when I try. This started after the recent update. I’m not one of those “let me speak to your manager” kind of people but I just had to let you know how bad my experience has been so far. Please fix it, and leave it that way unless there’s a really important bug to fix. Also gave you 5 stars because I know you’re hard working people over there and I pay for pro. Don’t hate the app, just hate the constant changes to the overall look of the app that honestly seem more like a step backward than forward. Five stars for completely disappointing me!! I’ve had this app for a while now. They promise to keep all your pictures safe “NO MATTER WHAT” which is all a lie! Let’s say u lose access to the account for a bit so you are inactive with it. Well without them even asking for your permission, they decide to erase your account and all the pictures you saved with it!! I completely believed them like an idiot and deleted my pictures and gave it to them so they can “KEEP IT SAFE” and without even consulting me or thinking about the fact that I have important pictures and things I actually wanted them to keep safe, they just erase and pretend like nothing ever happened. I completely do not recommend this app!! PLEASE DO NOT DOWNLOAD IT!!! GET EVERALBUM OR EVEN GOOGLE PICTURES BUT DO NOT USE THIS!!! Picture & video upload now constantly crashes. Very slow upload when it does work. Refuses to upload when the battery is low (even if its plugged in and currently charging!) If I have low battery don't you think it would be IMPORTANT to be able to upload/backup what I can before it dies?!? At the very least they should be an option that says 'continue anyway'. And if the phone is already charging I don't see why that matters? I can't upload a SINGLE picture? Really? Why does dropbox decide when I can or can't upload pics? This used to be a great app but recently it's falling apart. The media player is missing many desired features like fast forward/rewind 15 seconds, etc. Please fix the app! I've been a long time customer but I'm finding more frustrations than conveniences. Please fix the pic and video upload! App constantly locks up and crashes. Useless app. Not user friendly. I spent an hour just trying to figure out how to open a file, seriously an hour, and could not get past “download Dropbox paper”. Never succeeded in opening one file, much less sharing files between devices. Googled help for this app and was told to click buttons that did not exist (but clearly should exist!). You would think an app that is supposed to help you manage documents would at least have a straightforward way to open a file. That’s the most basic thing most users would want to do and after one hour a person of at least average intelligence can’t do it. I typed the name of my document in the search bar and it told me it wasn’t found. Double checked for typos, again it wasn’t found. Tried with just one word which I knew to be contained in many of my document files... still “not found”. Ridiculous and frustrating. Oh my gosh! I was having a difficult time logging in on my desktop - trying to remember my password and it wouldn’t let me in. I figured I’ll just continue to use the app on my phone, until I saw the “Connect A Computer” button. I pressed it and in a matter of seconds (I’d say less than 45secs) I was able to get into my account on my desktop computer. It was just three easy steps! I’ve been using Dropbox for almost 8 years and thought it was good but nothing outstanding enough to write a review until now. I just hate the little badge icon that appears on a document when saved in Dropbox. I hide it but it comes back... All good tho! I have been a Custumer for over 10 years no problem. I have a yearly contract with them. This year they took the money out of my account. In June 2018 and turned off my service in July 2019. I have been fighting with them for months I gave them the receipt from my account and the Apple store. The app say active until June 2019 but when I go the the app it say full must pay money. They said they didn’t get a payment so I need to pay again. I have tried to contact them. You can only talk to them though email or twitter they will not call you. They don’t respond or slow to respond. After months of trying to get in touch with them and proving I paid. They still did not turn on my service. I called the BBB on them and they never responded. Something so simple to solve has turn me off from this product and has made me find other services better than this. What can I say about an app that gives me access to everything I have from my cell phone- simple intuitive fail-free. The biggest tech mistake of my life was switching briefly to another service which lost my data and treated my like dirt when I asked for help. There are few things I’d like Dropbox to change but they aren’t specific to the app. The only app bug I’d like to see changed is the folder size limit which does not apply to desktop versions. it has been an inconvenience to break up one of my large folders, but still worth it to have my whole life with me anytime anywhere. The scan feature has been really nice but one thing has driven me crazy. 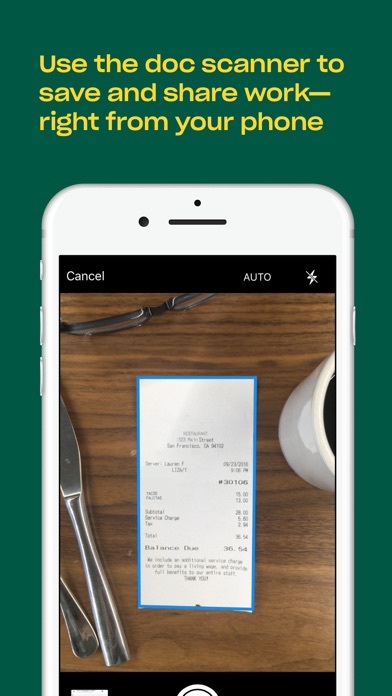 Using a phone, how hard is it to zoom into the document or receipt you are trying to capture? Not really that hard!! I personally don’t mind if i have a piece of the surface the doc is sitting on captured with the image. What drives me crazy, however, is ALWAYS having to adjust the image to actually capture what i intended to. The success of the auto detect feature is less than 50% for me and that’s only because I’ve gotten better at tricking it. Long story short, please Dropbox, at least have an option to disable the auto detect feature. I keep thinking this is going to fixed with updates but it hasn’t. I feel like this is a scam! I had someone send me a doc to look at and it was from this app. So I had to create an account to see it. Then all these options to pay and have no use for app but when I created thinking I could see doc and delete app, it’s not even pulling up doc. I ask friend to send in a regular email. I go to the option to contact support and I can type in the issue of asking to get rid of account (literally minutes after setting up) but drop down box to choose device doesn’t work so no way to get this company’s attention to not be charged or have this account at all. Would not recommend and hope someone from this company sees this because I’m at a loss and truly upset that I might be charged for something I have no use for. 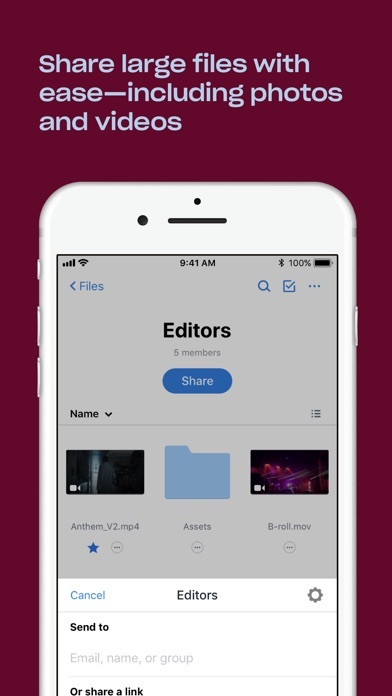 Having this Dropbox App is a great way to have accessto your (Dropbox) cloud documents; specially since it integrates with the built in Files app. It's also a great way to upload things to your Dropbox account. Starting out with 2GB of free data is pretty silly in this day and age, but that describes the service, not the app. What I do find ridiculous about the app is that a simple feature like "Make available offline" is hidden behind a paywall. Really? I need to pay to maintain files on my device so I don't have to constantly use up your service's bandwidth whenever trying to open such files? Just ridiculous..
Hi, I have had an amazing experience with the app for iPad. I use Dropbox to save my photos and videos, my memories. Camera load is very useful. I have one suggestion: the option to sort files by creation time is not available. It is possible to sort them by modification time, but is not the same. It would be awesome to have that option available, because I will be able to see my photos and videos in a chronological order. Me and my family will be very happy if this option comes true. Greeting an keep up with the good work. About a year ago I tried to use Dropbox for photo and video backup from my iPhone so I could clear up some space....It was so slow it was useless. I literally had to upload 1 file at a time or it flat out would not work. Fast forward to today. It's the exact same thing. I've been trying to backup 64 files (videos less than 60 seconds long shot on my iPhone 5) and it's exactly the same thing. To make sure it wasn't my connection I sent a 1.5 gig file to a client via WeTranfer to test and it only took about 20 minutes. On the laptop I have no problems but the iPhone app just doesn't cut it. LOVE our business plan! Please fix one problem! I love this app. Totally revolutionized our business. I REALLY NEED on app an undo button. The ability to drag and drop files is nice but it’s TOO easy. Just scrolling through files, you grab one and move it to another file and have NO idea what happened, no way to track it, and no undo. Please fix! Also maybe make it so have to hard press and wait for it to jiggle to move like in iOS. Also be nice to add a blank “sheet of paper” to a file that you can jot notes on and save like a pdf right from the app. This would be SUPER. BEWARE! I cancelled my trial, the App Store tried to charge me a week before trial was up, then continued trying to charge me,fortunately I had removed my credit card before that because App Store said my valid card wasn’t valid, obvious App Store problem. Way to go Apple! Dropbox sends emails you can’t reply to, and there is no way to contact them thru app or website, I’d rate ZERO stars if I could, how are users supposed to get support? Reading other reviews, apparently there is none, that’s a major FAIL!!! I suppose the app works ok if you have access to high speed internet or work with tiny files, but if you don’t or are limited to a cell connection it’s pointless if working with large video files. 2019 Update: STOP harassing me to upgrade—apparently $99 per year isn’t enough for you greedy developers! Getting sick and tired of being constantly pestered to upgrade to a business account on the app, on the web, and on my MacBook (“save 20 GB space...”). Pandora did that and they lost my business. Stop it! Previous Review: Have been a premium Dropbox customer for many years; and overall relatively pleased. However, I don’t entirely trust it with my precious photos taken over the years. Also, please provide support for Live Photos, save my EDITED photo (not original) or both; and lastly, allow us to view smooth videos. These implements will bring my rating back up to a 5. I use Dropbox for numerous things online, both business related and personal. In all circumstances I need to be able to interact with people on shared documents and the most recent update has made that impossible for some reason on my iPad. I’m sure I’m not the only one with this problem so it should probably be fixed right away. If not people like me will have to find other programs to use. That aside, before the problem occurred Dropbox was my go to on all of my devices. I sincerely hope this problem gets fixed. 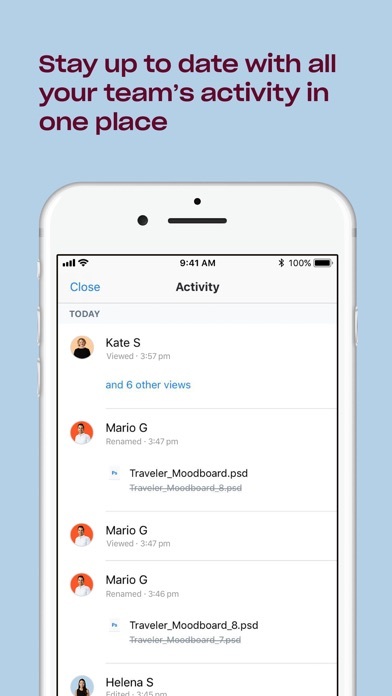 Always there, online, offline, moving documents from one platform to another, Dropbox is your quick, easy, no fuss solution. It’s one of the cleanest layouts ever created (in my opinion). I would defiantly suggest giving Dropbox a try for anyone going to school or working in business. Other platforms exist such as google docs, or Microsoft office, which I also use, but Dropbox has them beat in speed of upload and download, and loading of page, AND ease of navigation. I have been using Dropbox as a tool to exchange files between my iPhone, 2 ipads, and several windows PCs. When I encounter errors, the messages are very ambiguous. Often the message is followed by a “try again” phrase. Trying again has never worked without doing additional research and changing the operation. Often the change involves using an alternate ‘cloud’ and it’s tools. The only support tool that seems to work is the the ‘community’, but this is normally very high level and cluttered with noise. It requires a lot of time in searching and reading that rarely returns a helpful answer. 1. Get FaceID or TouchID or password requirement by default when the app is launched. Data entry n my Dropbox is just as sensitive as my bank Goldman information. Then why does my banking app require *some* sort of verification (FaceID) upon launch, but Dropbox seems oblivious to this issue. Isn’t the need for this obvious? 2. STOP DISPLAYING MY MOST RECENTLY USED FILES ON THE HOME SCREN OF THE APP!! I use the app all the time to pull up a figure or article to show to professional colleagues at work. 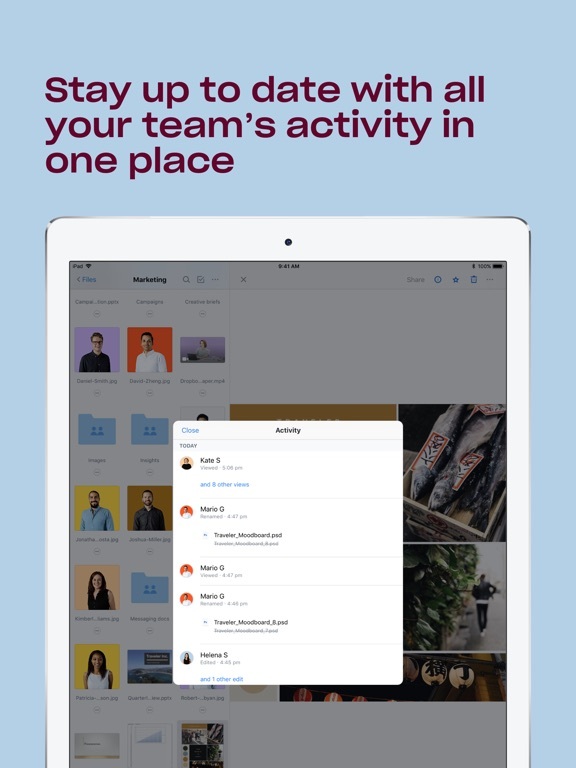 Imagine, we’re in the middle of a discussion, I pull up an app to show something, and with them looking over my shoulder my personal files come up on the home page. Unacceptable! I downloaded drop box on an old phone almost 2 years ago(when it was free), got a file sent to me, never used it again, got a whole new phone and forgot about it, I just noticed on my credit card bill about 5 months ago I got upgraded without my knowledge and have been paying 10 dollars a month and now Dropbox is like “oh I’m sorry We have nothing to do with that it’s the Apple store” and I’ve been trying to get my money back for a month and there is no way to get a hold of anyone because it’s such a big company they can just take your money and you’re forced to deal with it. Not cool at all. I even cancelled and it still took my money this month, AGAIN. I love Dropbox and have been using it for years, but the app has issues. It's annoying that when I'm in a folder that has over 3000 photos and i'm browsing one by one to delete, the folder refreshes and shows an empty folder. Then i have to go back to the parent folder, enter the photo folder and go back to where i was. It refreshes every couple of minutes and shows an empty folder. The iPhone also does this. Sometimes, the folder disappears and i have a minor freak out thinking it got deleted so i have to log out then log back in again. I’ve really enjoyed Dropbox. It makes accessing my files across multiple devices so easy. After the most recent update I’m no longer able to attach files to emails through the “attachment” option in the mail app on my phone. Not everyone has a Dropbox account and I hate sending links to the files as it seems unprofessional to me. I’ve looked into it and it seems many people have experienced this issue. I hope it is resolved soon. I am a Dropbox professional subscriber for past several years but now will be moving to google drive and cancelling my subscription. The App has a major bug since iOS 12 - I cannot access any file from the App but I can access same file using mobile safari. I have been emailing customer support for past 2 months and keep getting canned and useless responses. I also tried to escalate to Drew Houston, CEO of Dropbox but I don’t think he cares. I will be writing about this bad experience on other social platforms as well. I have been a shareholder as well but given how bad their general approach towards customers is, I will be selling my shares as well. I have been trying to download a file from a paid account to my unpaid account. I am unable to download any files from my Dropbox account to the local storage on my device. This gets one star until Dropbox realizes its existential purpose if transferring files from one computer to another computer and not one account to another account. Review of paid trial version. Now I am not able to select more then one file. I have the option of downloading a file but that’s not that helpful to me if I need to download gigs of content for work. Additionally it limits the file size you are able to download to something between 50 and 100 megabytes. That what.. a minute of 1080 video? Why do I not have the option of downloading an entire folder of content. I am willing to pay for the Dropbox experience I had in 2012. I am frustrated when the basic law of modern economics that things get better and cheaper over time is rolled backwards by greedy present hedonistic executives. Of the few paid cloud services that I suscribe to, Dropbox would be the first one that I would close. Fewer returns for the buck. The cloud service is clunky and counterintuitive, inc. it’s search engine. Uploading and managing files, as compared to other services is a chore. They haven’t upgraded the available storage space in years (1 Tb). It continues to be great, for what most of us signed-up for, to begin with— sharing docs with others, and for syncing frequently used files/folders in our hard-drives. But this is now also possible w other cloud providers. I've used Dropbox for quite awhile. My one complaint is that I wish there was an easy way to switch between different accounts. I have a personal account as well as one I use for accessing files while teaching. I don't really want to merge the two into one account, but I can't figure out how to quickly and easily gain access to both without opening one in a browser while using the app with the other. Otherwise, I will continue to use and love Dropbox! Dropbox keeps me well organized with all types of data by allowing me to sort them out into files & folders. It also allows me to share with others selected data, files, folders or all of it and even to allow others to make changes to selected or all data. Furthermore it allows one to share large files & folders. Dropbox is just AWESOME! I can’t wait for the next improvements to come by! 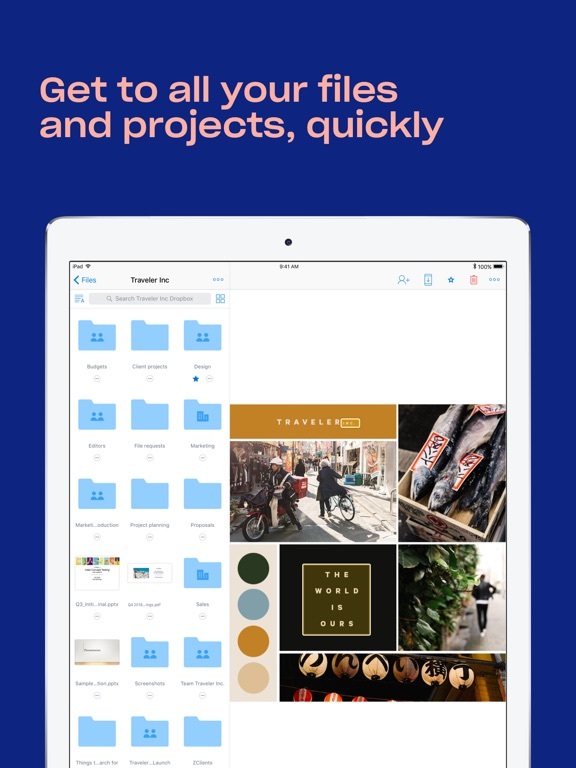 I have been using Dropbox for years and love that it is accessible through an app for IOS. I am having a major problem, however, which may be a deal breaker. I am unable to find a way to export multiple files to a device at once. Currently, I have to save each file separately, and when dealing with hundreds, or thousands of files, this is just not practical by any means. I will gladly change my review if this fault is truly user error, but I have found many others with the same complaint. 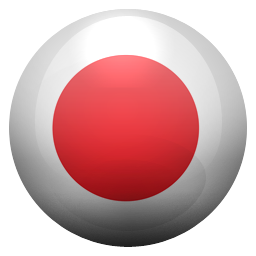 Amazing app that does a very nice job and helps with workflow tremendously. 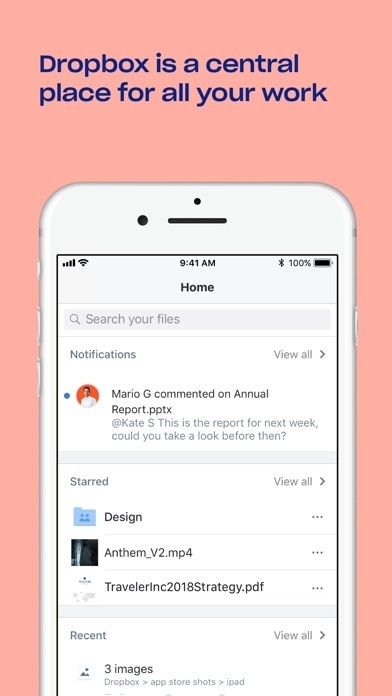 I wish it had two features: 1) the ability to choose which app to open files in directly from Dropbox (like pdf expert instead of just adobe) 2) syncing / comparability with Microsoft word so that when you make a file available offline in Dropbox you can open it from Dropbox in Word without internet. Continuously Crashing - Dropbox Fix This! I’m a long term user of Dropbox, primarily online & desktop. I’ve used the app for some years now, but recently the app has been bugging out more and more. It’s so frustrating & ends up taking 10X the amount of time it typically would with a working app. Dropbox App used to be my go to, I especially loved the scan feature. So useful- all in one. Now if I’m trying to scan documents/receipts, I need to plan on the app getting stuck in a forever “pinwheel” stage or crashing. Sometimes when I’m just near the end of my last item to process - BOOM. Back at square one. Please fix this! Using Dropbox has helped me in keeping everything in a safe and easy to use platform space. My favorite feature is the ability to scan an upload documents just by taking a picture of it. So far, so good! I would recommend others to give it a try so they can appreciate the advanced technological features and a stress free tool that’s easy to learn how to use. Mostly love the app but lately it’s become unusable. When I upload photos manually to a Dropbox folder, it will only upload about 30 pictures before saying it can’t be reached. I’m fine with doing small batches but every time I send a batch through iPhone files extension, I have to rename the file to get the files extension to recognize it. So if I’m uploading to file named 7 I go to do the second batch and 1-6 is there and 8 but no 7 so I have to keep renaming between 7 and 7a everytime I upload. It’s ridiculous.